FatSophie is suitable for max. 180 Watt/ E27 fitting. It is standardly furnished with a footswitch. Customers receive an additional dimmer for free on demand. 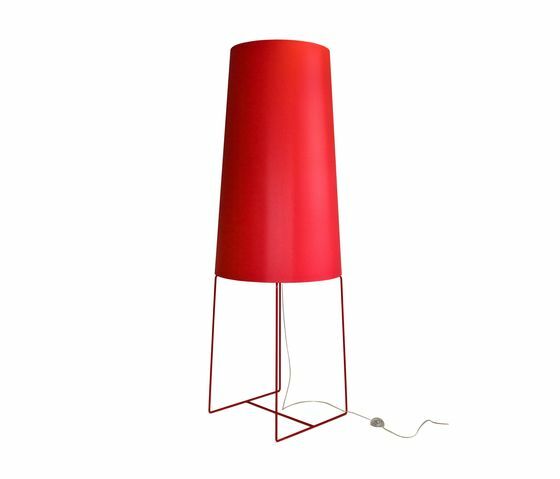 FatSophie is made of powdercoated steel wire and a chintz-covered shade and will be delivered disassembled (7 parts in 2 parcels). It is available in 5 colours. Size: base 70 x 70 cm height 196 cm.